Book Ninjas: Marketing Libraries in Communities in a Fun Way! Exciting! 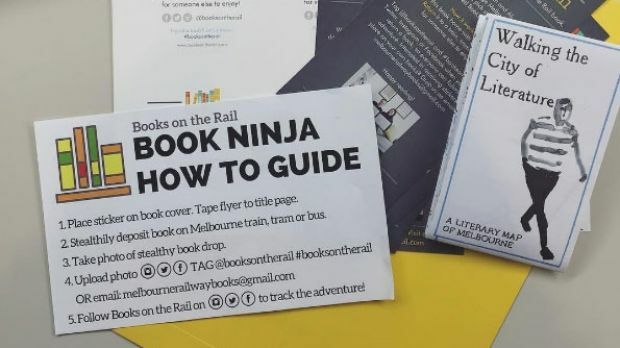 The Sydney Morning Herald published “‘Book ninjas’ are hiding free books on Melbourne’s trams, trains and buses to get commuters reading” on August 30th, 2016. This is the perfect way to use discarded books destined for book sales as an outreach method for your community! Launched in April using copies of The Great Gatsby, ‘book ninjas’ put Book Ninja stickers on each book promoting the cause and take a picture of their stealthy book planting and post the pictures all over the Book Ninja website, social media, and press releases. How could your library use this idea? Your library could create your own stickers promoting your library and a cause and advertise your creative outreach through a social media campaign accompanied by a news release. You could use the Book Ninja sticker to promote library funding using Libraries Transform statements, promote specific events (story time, adult programs, programs during city festivals), or simply encourage literacy in your community in a fun, creative way.